Can you spot the little visitor interested in my cupcakes. All the baked goods at Kyra's Bake Shop are gluten free. Now normally this would turn me away. I love my gluten and any store bought or homemade gluten free items I have tried have not tasted good at all. But every cupcake I have had from Kyra's has been delicious. I never would have known they were gluten free if I hadn't read that on her shops website. Before you start reading the review of the 3 cupcakes I tried please keep in mind that everyone's taste buds are different and I happen to have super picky ones. While I enjoyed all the cupcakes I wished all 3 of them had MORE flavor to them. I love sweets and I want to really taste the sweetness. 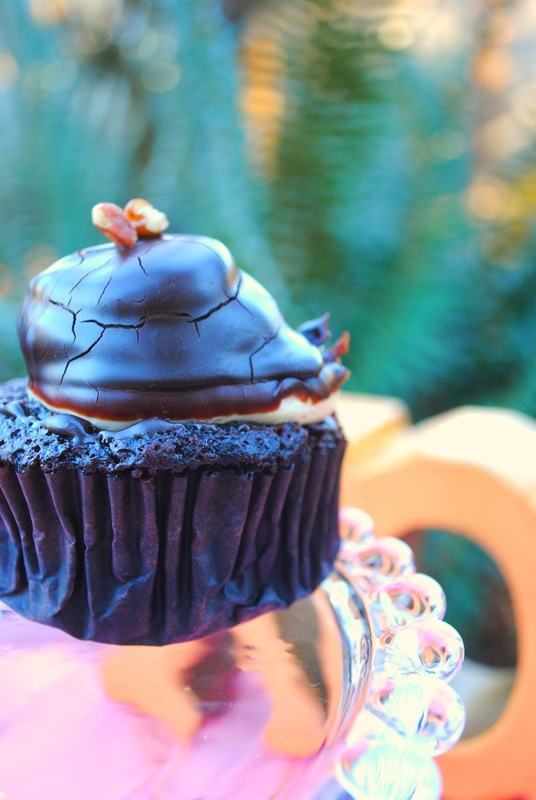 Chocolate Caramel Ecstasy: Chocolate cake, filled with their housemade salted caramel Sauce, topped with chocolate buttercream, dipped in chocolate ganache and sprinkled with salt. With caramel in the name you know I had to try it. For those of you who don't know, my man says he could pour caramel on anything and I'd eat it. He's not wrong. That's how much I love caramel. The cake was so moist and I even bought the day old one. The chocolate ganache was rich but I'm not much of a chocolate girl so if you like chocolate you might not think it's rich. 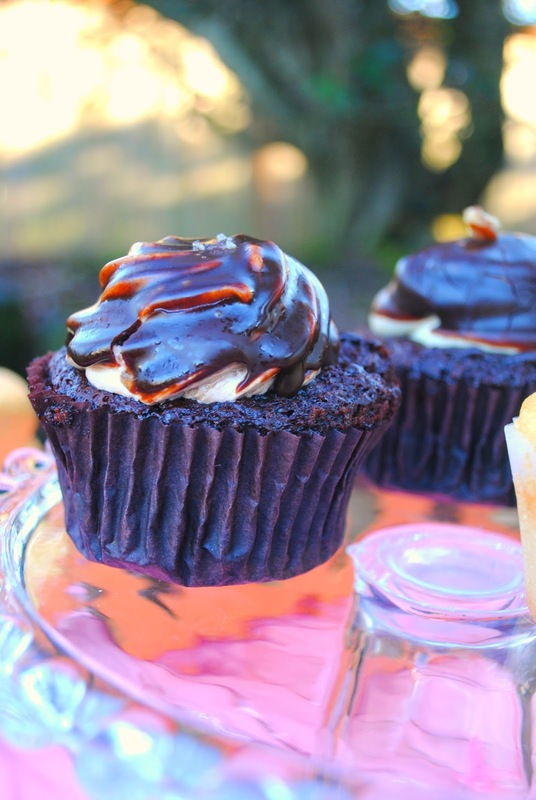 The chocolate buttercream was so creamy and the hint of salt on top was just right. The caramel in the middle was salted perfectly. I would have liked more of a sweet caramel taste from the filling. German chocolate: Chocolate cake, coconut pecan caramel filling, caramel buttercream, dipped in chocolate and topped with a pecan. German chocolate cake is my FAV so I was excited to try this cupcake. This cupcake was a day old as well and you'd never know it. The cake was moist and the caramel buttercream frosting was almost like eating a soft fluffy marshmallow. The chocolate ganache topping has a smooth chocolatey taste. The coconut pecan caramel filling could have been more coconutty for my taste buds. It didn't have that classic German chocolate cake taste to me. I think more coconut would have made it taste more German chocolate cake like. You can't have too much coconut in a German chocolate cake/cupcake. Lemon Lavender: Lemon cake, lavender buttercream, sprinkled with lavender. 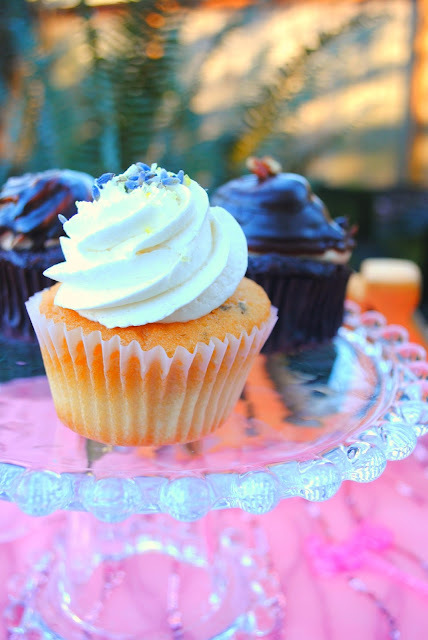 Ok, you have to like the taste of lavender to enjoy this cupcake. You can definitely taste the lavender but it's not over powering. The lemon cake is very light. I would have liked more lemon flavor coming through in this cupcake. 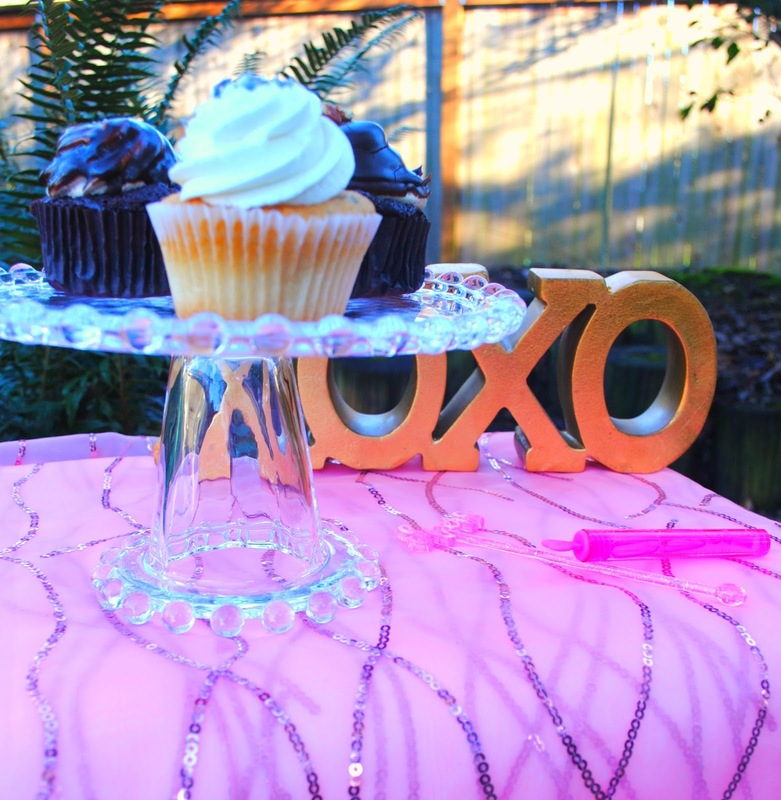 The lavender is the predominate flavor in this cupcake. I liked the little detail of lavender sprinkled on top the beautifully piped smooth frosting. 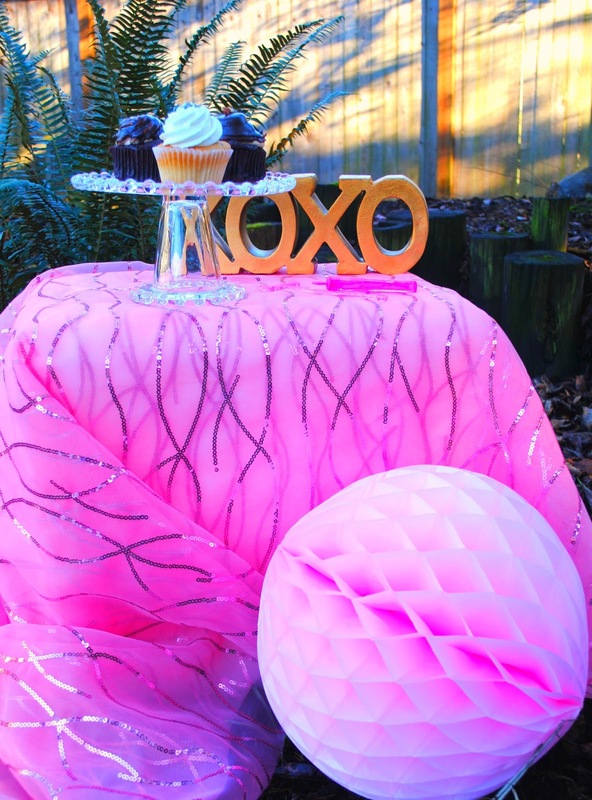 All of these cupcakes are perfect for any party you're hosting or a just because get together. The lemon lavender would be perfect for a tea party. 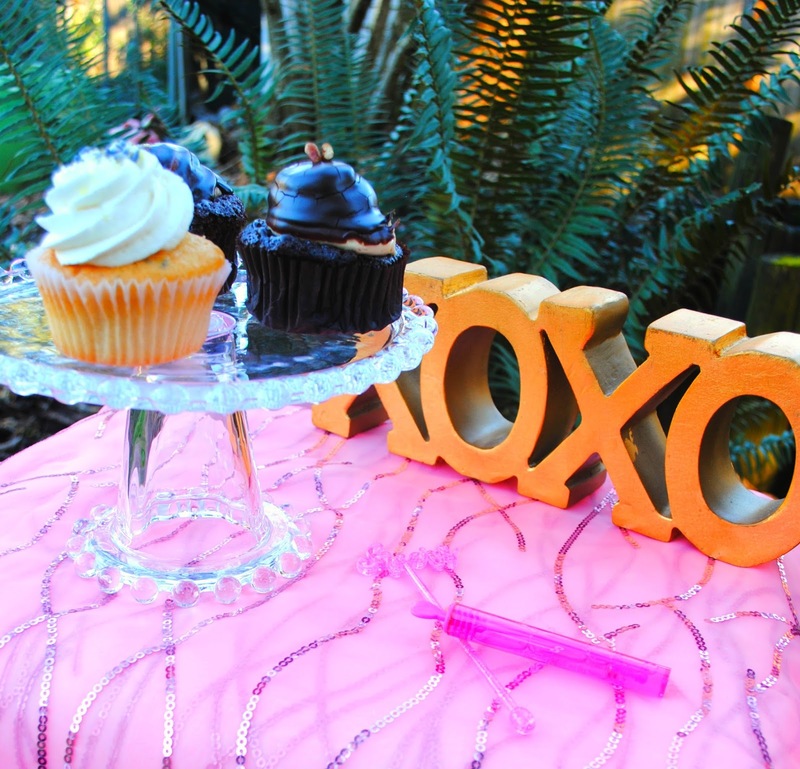 The two chocolate cupcakes would be great for a death by chocolate or chocolate lovers party. 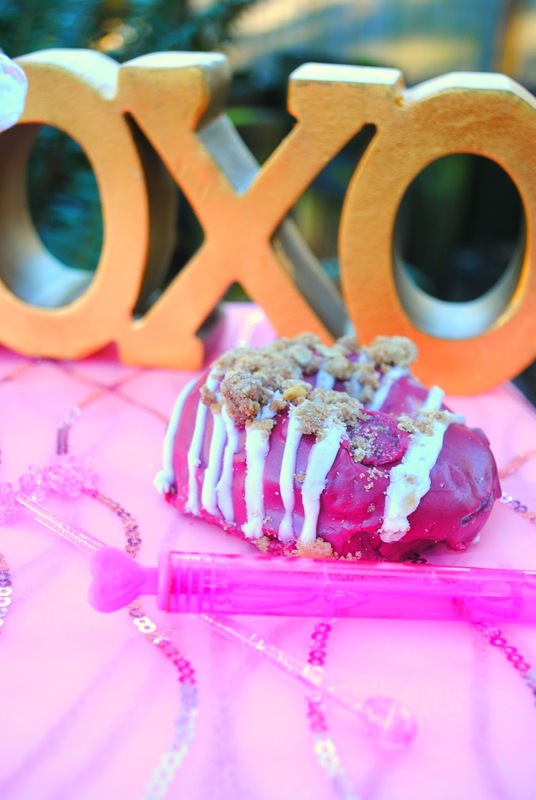 Blackberry Crumb donut. I couldn't resist this donut. I love blackberries and will eat them by the handful so I had to try this donut. Plus it's just such a pretty colour. I was surprised by how dense this donut was and then I remembered that all the baked goods at Kyra's Bake Shop are gluten free. I've found that gluten free baked goods tend to be denser. The blackberry flavor was subtle and there was a hint of another flavor but I couldn't place it. This donut would be wonderful to enjoy on a lazy weekend morning with tea. I have never been disappointed by any cupcake I have tried at Kyra's Bake Shop. She keeps me coming back for more with her rotating flavors. I can't wait to try her Cherry Balsamic Black Pepper, Raspberry Hibiscus Rose, Kyra's Unicorn, Mimosa and more.